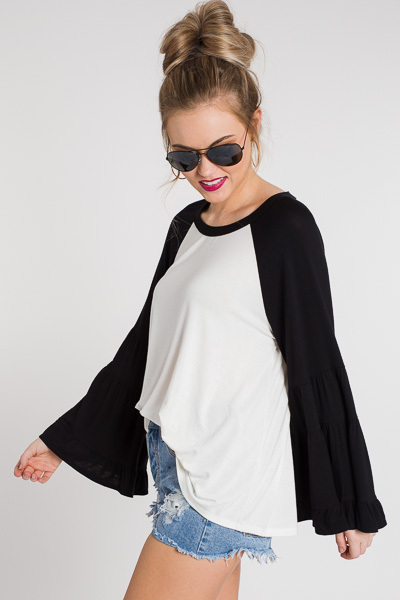 Those sleeves! 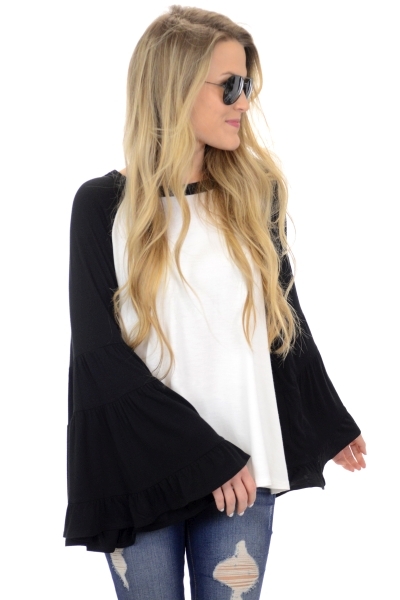 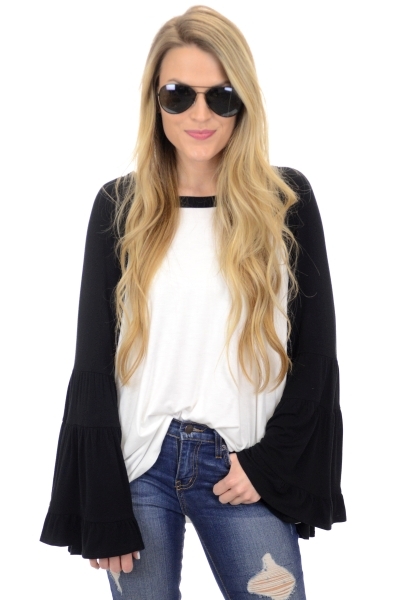 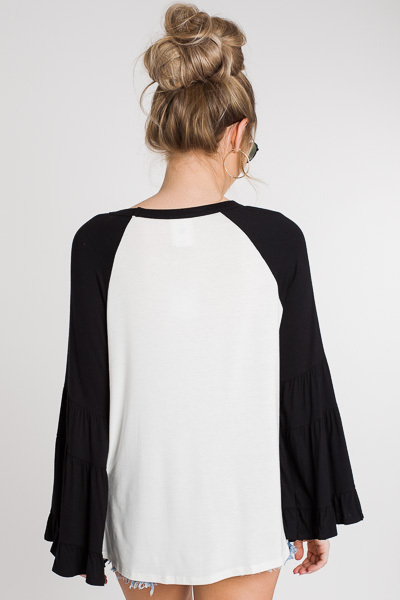 We are seriously obsessed with this feminine take on the classic baseball tee! 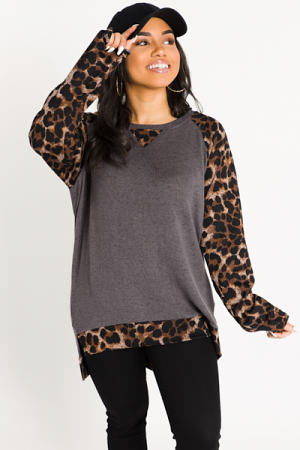 Fabric is a super soft viscose-blend.